When you need money fast in San Jose, Bay Area Title Loans are here for you. 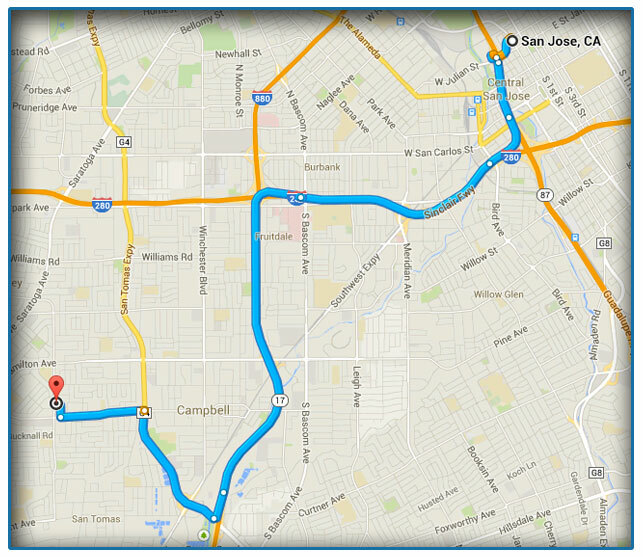 Our operations are located near Campbell, but our San Jose customers are welcome in our nearby office. Bad credit is not a problem for us. Neither is being self-employed. Depending on your vehicle, we have title loans that range from $2000 to $50,000. Unlike other financial institutions, our online application just takes a couple of minutes. Once you have filled out the form, you need to come visit Bay Area Title Loans in San Jose. Our staff will carefully review your additional documentation and inspect your vehicle. After this brief process is complete a member of our staff will explain the loan to you and hand you a check. I found the staff at the San Jose Office were really helpful. I filled out my paperwork the wrong way, and they helped me get organized to get my loan that day. My daughter caused some unexpected property damage because of her seizure condition. The folks at this San Jose company went out of their way to help me get the money to pay the school.